Based on the British Isle, Britain is always on the front line with the 4th Reich occupying all of the territory that surrounds it. 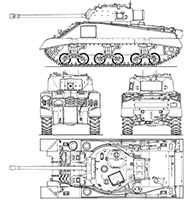 The design of the British weapons and vehicles is similar in many ways to the American designs but it is greatly improved since their designs are mostly based on speed and maneuverability. The best examples are the Griffin Spitfire with its excellent turn time and the Comet cruiser tank with its excessive speed and agility. Comet is one of the main British battle tanks. It is fast and armed with a 17-pounder. Its armor is subpar but it still outclasses Sherman and Panzer IV. Its powerful gun can challenge even the mighty Panthers. 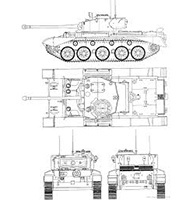 Although the tank does not carry many armaments, it does not have any particular weakness and can be seen as a good and balanced medium tank from Britain. Sherman-Firefly tank is built on a normal Sherman hull. The Firefly just replaced the Sherman’s normal old 75mm pop gun with a British 17-pounder heavy anti tank canon, which gives the small Sherman a lot of firepower compared to its size. Its gun is now comparable to the old Tiger 1E, and can now challenge the Panther tanks with much more success. It is no longer produced, but it is still present on the battlefield and is usually used as a command tank as many commanders like its small hull and old and reliable Sherman chassis. 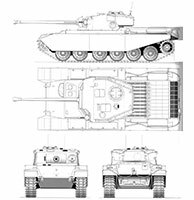 The Centurion is the first attempt of the British army to create a true heavy tank. Not an infantry support tank like the Churchill but a true heavy tank like the IS-2. This was desperately needed as the contemporary British tanks like the Sherman Firefly and Comet were good in their own rolls. But nothing compared to a Panther or Tiger II. The Centurion fulfills the role of a heavy tank really good. With armor strong enough to bounce the Panthers gun and speed comparable to the rest of the heavys. And with a 17Pnd gun, the Centurion can dispatch any medium tank of the 4th Reich. The design is rather new so not many are in service yet. But more are coming out and replacing the aging Churchill tanks. Spitfire is the symbol of Britain’s fighting spirit. It is an outstanding fighter. The best feature that this plane has to offer is its amazing turn time. For now, this plane holds the title of the best turn fighter in the world. Armed with two 20mm cannons and four 30cal mgs, the Spitfire can hold on its own in a fight without any problems. The only flaw this plane has is its speed. Something which might not seem like a problem but it usually means that the Spitfire pilots need to play by the rules of the enemy as they get to decide where and when the fight will be happening. 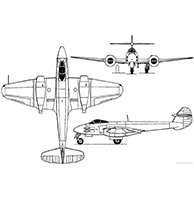 Meteor is one of the only aircrafts that can be considered a good match against the mighty ME 262. Although the enemy jet reigns supreme at speed and firepower, the Meteor still has the advantage in a turn fight much like the Spitfire has an advantage over the BF 109. There aren’t too many of them in the world as of yet, but their number is increasing each year. It is armed with 4 20mm Hispano cannons, which make it a great fighter hunter as well as less suitable for a bomber or airship attack. It can mount rockets and bombs for ground attacks, but it is rarely used in this role. 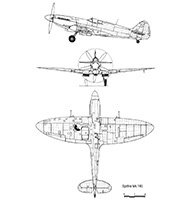 Although it is still inferior to the 262, a good pilot can use its strengths to bring down almost any fighter in the Luftwaffe arsenal.